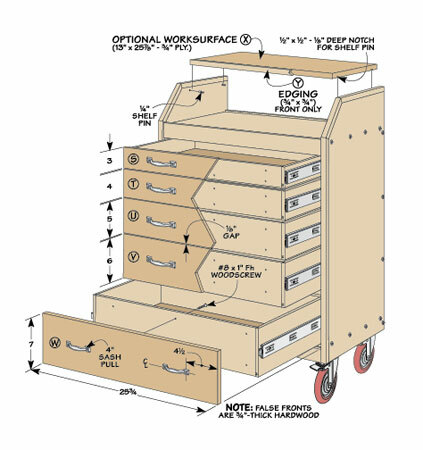 Store and organize an entire shop's worth of tools with this roll-around cart... Plus, you can move them right where their needed. 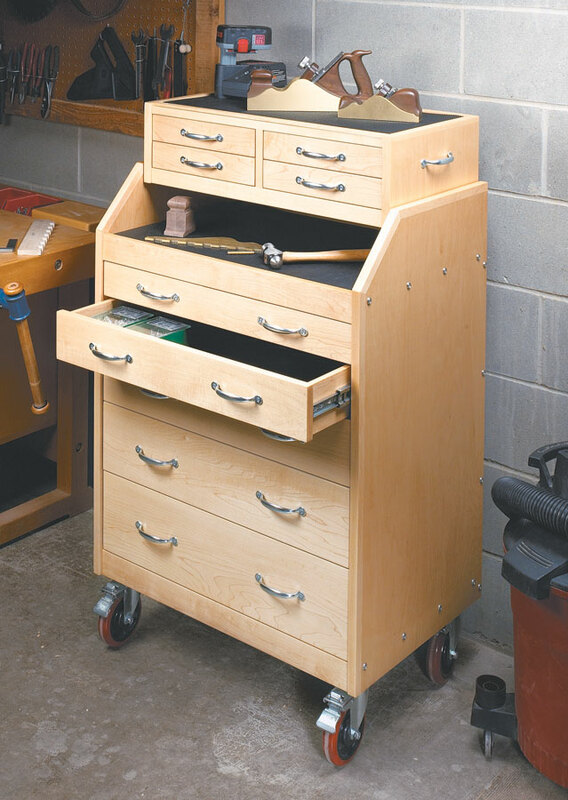 This tool cart is really two tool chests in one. 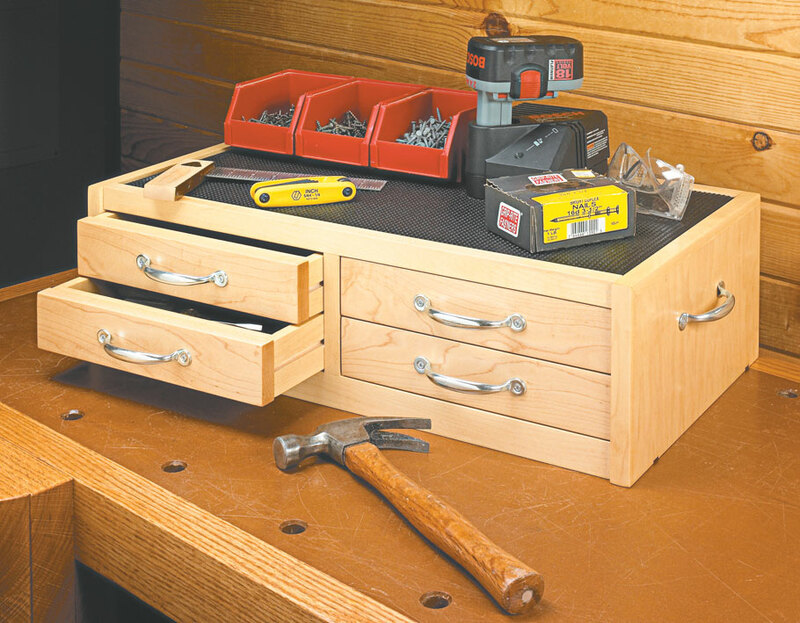 The smaller chest on top stores small hand tools in four drawers and can be lifted off and carried to your workbench. 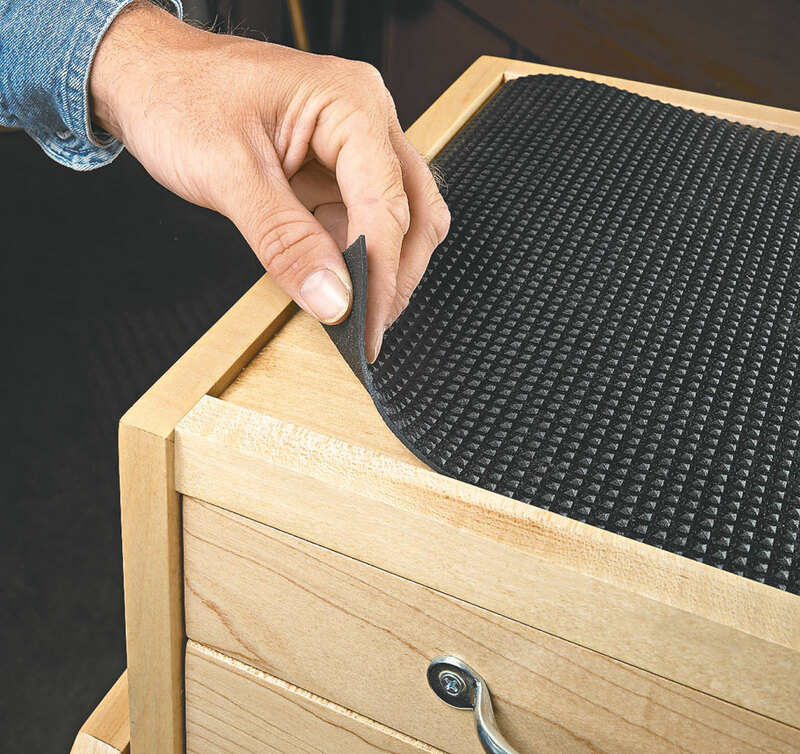 Down below, five drawers on full-extension drawer slides offer lots of fully-accessible storage for bigger items. 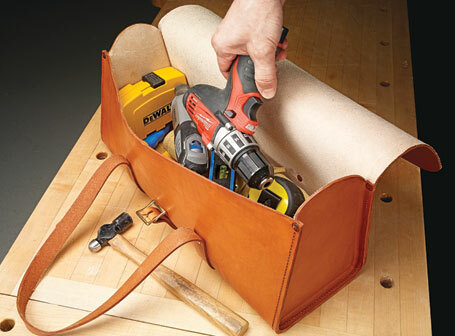 Top surfaces of both chests are covered with cushioned non-slip tool mats to protect both tools and tops. 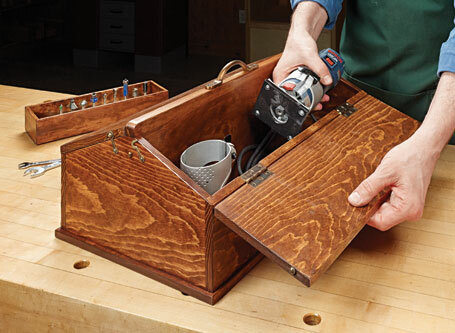 And the whole thing rolls easily across uneven shop floors on big, heavy-duty locking swivel casters. 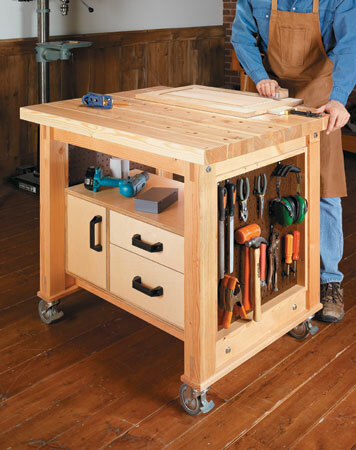 Heavy-duty design, large worksurface, and loads of storage add up to a versatile project.